Viviscal Moisturising Conditioner which is 96% naturally derived and has been scientifically formulated to moisturise and condition your hair and scalp to help create the ideal environment for healthy hair growth. Argan and Hazelnut Oils soften, nourish and condition the scalp and hair. Creatine helps to improve the smoothness, volume and the 'feel' of hair. 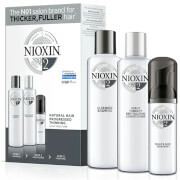 Promotes lustre and revitalises hair appearance. 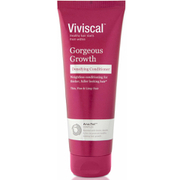 Apply a generous amount to your hair after cleansing with Viviscal Desnifying Shampoo. Massage gently from the roots to the ends. Leave in for two minutes to let the conditioning ingredients work. Rinse thoroughly. We recommend using Viviscal Moisturising Conditioner in conjunction with the rest of the Viviscal Hair Care Program: Viviscal supplements and Viviscal Gentle Shampoo. Aqua, Cetearyl Alcohol, PEG-7 Glyceryl Cocoate, Allantoin, Creatine, Cetrimonium Chloride, Panthenol, Phenoxyethanol, PEG-20 Stearate, PEG-75 Shea Butter Glycerides, Corylus Avellana Seed Oil, Argania Spinosa Kernel Oil, Lavandula Angustifolia Oil, Linalool, Imidazolidinyl Urea, Hydroxypropyl Guar Hydroxypropyltrimonium Chloride, Citric Acid. Aqua, Cetearyl Alcohol, PEG-7 Glyceryl Cocoate, Allantoin, Creatine, Cetrimonium Chloride, Panthenol, Phenoxyethanol, PEG-20 Stearate, PEG-75 Shea Butter Glycerides, Corylus Avellana Nut Oil, Argania Spinosa Kernel Oil, Lavandula Angustifolia Flower Oil, Linalool, Imidazolidinyl Urea, Hydroxypropyl Guar Hydroxypropyltrimonium Chloride, Citric Acid. 200ml 6.7 fl.oz. Auburn Fibres Ingredients: Hydrolyzed Corn Protein, Hydrolyzed Soy Protein, Hydrolyzed Wheat Protein, Faex Extract, Nylon-12, Phenoxyethanol, Aqua, CI 16035, CI 75120, CI 19140, CI 77007, CI 42090. Blonde Fibres Ingredients: Hydrolyzed Corn Protein, Hydrolyzed Soy Protein, Hydrolyzed Wheat Protein, Faex Extract, Nylon-12, Phenoxyethanol, Aqua, CI 19140, CI 16035, CI 75120, CI 77007. Dark Brown/Black Fibres Ingredients: Hydrolyzed Corn Protein, Hydrolyzed Soy Protein, Hydrolyzed Wheat Protein, Faex Extract, Nylon-12, Phenoxyethanol, Aqua, CI 16035, CI 75120, CI 42090, CI 19140. Grey Fibres Ingredients: Hydrolyzed Corn Protein, Hydrolyzed Soy Protein, Hydrolyzed Wheat Protein, Faex Extract, Nylon-12, Phenoxyethanol, Aqua, CI 42090, CI 77007, CI 19140, CI 16035, CI 75120. Light Brown Fibres Ingredients: Hydrolyzed Corn Protein, Hydrolyzed Soy Protein, Hydrolyzed Wheat Protein, Faex Extract, Nylon-12, Phenoxyethanol, Aqua, CI 19140, CI 16035, CI 75120. Black Fibres Ingredients: Hydrolyzed Corn Protein, Hydrolyzed Soy Protein, Hydrolyzed Wheat Protein, Faex Extract, Nylon-12, Phenoxyethanol, Aqua, CI 42090, CI 19140, CI 77007, CI 75120, Cl 16035.